The son of Showcasing thrived as a juvenile last season and already has a date at Royal Ascot on his agenda. Archie Watson is excited at the prospect of campaigning Soldier’s Call in the top five-furlong races this year. The son of Showcasing enjoyed a successful juvenile season with three Pattern-race victories, culminating in the Group Two Flying Childers Stakes at Doncaster. He then went within a neck of winning the Prix de l’Abbaye, before fading close home after missing the break when sixth in the Breeders’ Cup Juvenile Turf Sprint at Churchill Downs. His assignments in the QIPCO British Champions Series are set to include the King’s Stand Stakes at Royal Ascot in June. “Ground and distance were the issues in the States. For me he’s an out and out five-furlong horse,” Watson told Sky Sports Racing. “He went back to (owner) Steve Parkin’s place for the winter. He probably had about six weeks away and has done very well. He’s been back in since January 4 cantering. “I’ve got plenty of time with him. He’ll kick off in the Westow, which is a three-year-olds only Listed race at the Dante meeting (at York). 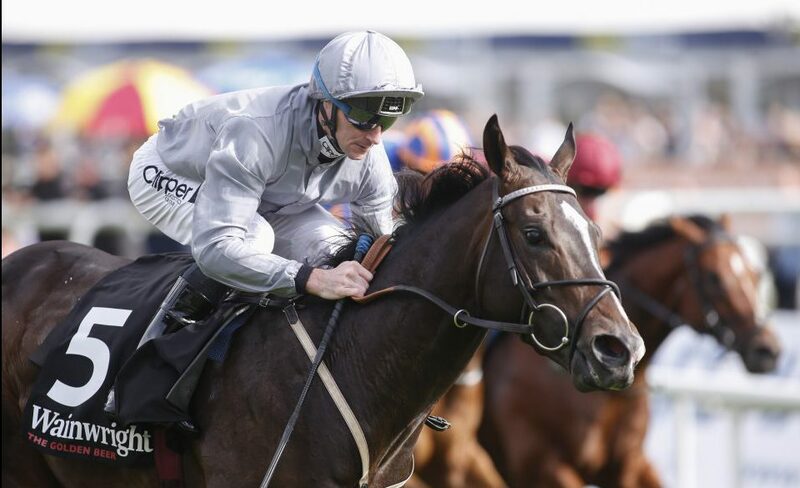 “He’ll carry a 5lb Group penalty and then the aim will be the King’s Stand at Royal Ascot.